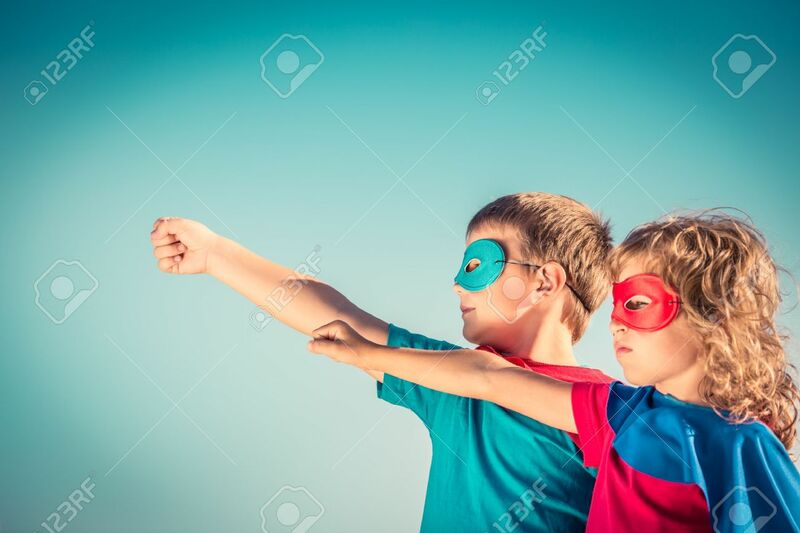 Superhero Children Against Summer Sky Background. Kids Having Fun Outdoors. Boy And Girl Playing. Success And Winner Concept Royalty Free Fotografie A Reklamní Fotografie. Image 35407545.